You know this thing about KC Undercover Games? 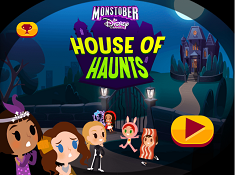 KC Undercover Team from Disney Channel are presented now here in KC Undercover Games on Cute-Games.com where you have to find out some covered secrets from their adventures. Focus on game action to finish each adventure on the first position, then you can continue your game in the second level if you have enough credit for that. In KC Undercover Games you can find 10 games that we've published for these kids and childrens that are interested to play KC Undercover Games, this game gategory have been created on 16.10.2015. These games with KC Undercover Games have been voted 1 times and the avarage of vote is 5.00 stars. We advice you to play the last flash game from KC Undercover Games, Robo Recon that have been published on 22.02.2018 14:00. Robo Recon its a part of KC Undercover Games category and until now its played 1257 times. Try it now on Cute-Games.com! KC Undercover Dress for Success its a part of KC Undercover Games category and until now its played 1183 times. Try it now on Cute-Games.com! If your like the KC Undercover Dress for Success game you can write a comment in the game page. Recommend this game to your friends if you like it! Zendaya Coleman Makeover its a part of KC Undercover Games category and until now its played 863 times. Try it now on Cute-Games.com! 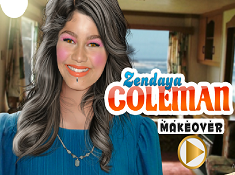 If your like the Zendaya Coleman Makeover game you can write a comment in the game page. Recommend this game to your friends if you like it! Spy Ops its a part of KC Undercover Games category and until now its played 2264 times. Try it now on Cute-Games.com! If your like the Spy Ops game you can write a comment in the game page. Recommend this game to your friends if you like it! KC Undercover Memory its a part of KC Undercover Games category and until now its played 1081 times. Try it now on Cute-Games.com! If your like the KC Undercover Memory game you can write a comment in the game page. Recommend this game to your friends if you like it! 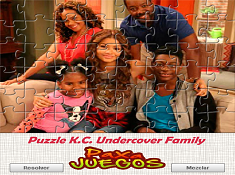 KC Undercover Puzzle its a part of KC Undercover Games category and until now its played 1139 times. Try it now on Cute-Games.com! If your like the KC Undercover Puzzle game you can write a comment in the game page. Recommend this game to your friends if you like it! KC Undercover Family its a part of KC Undercover Games category and until now its played 1074 times. Try it now on Cute-Games.com! If your like the KC Undercover Family game you can write a comment in the game page. Recommend this game to your friends if you like it! KC Cooper and Marisa its a part of KC Undercover Games category and until now its played 1224 times. Try it now on Cute-Games.com! If your like the KC Cooper and Marisa game you can write a comment in the game page. Recommend this game to your friends if you like it! Find More About KC Undercover Games! Cute-games.com has a new special category named KC Undercover games where you will meet your favorite characters from the new Disney series with the same name “KC Undercover”. As you know Disney Channel is always back with new ideas and funny series for you and the newest serial appeared on January 18, 2015 and it is produced by “It`s a laugh production”. Even the movie is at the beginning the producers are planning the second season because the serial has a huge success. For this reason, cute-games.com bring to you the newest online KC Undercover games in which you will have the chance to be a spy and to go through new and amazing adventures. The story presents K.C. Cooper which is the main character and a genius in math, basket and karate and also she is training to be a spy like her parents. K.C. is also very funny, beautiful and her big dream is to be an undercover spy like her mother and her father which are very good undercover spies. She also has a brother named Ernie Cooper which is another genius but he excel in the IT world, reason that make him helpful in that family full of spies but Ernie is sometimes ignored by others, especially by his father. Another character is Judy, the robotic sister of K.C. and Ernie, and she is programmed to help on missions and her name came from Junior Undercover Digital Youth. Their parents are named Kira and Craig Cooper and they are undercover spies from a long time and now they want to teach their children to be like them and for that they spend a lot of time together and they are going in interesting missions. We invite you to get in that beautiful world where you have the chance to be a spy and to go in missions where you`ll have to be by undercover and to solve the mission by catching the villains, thieves and other bad persons. 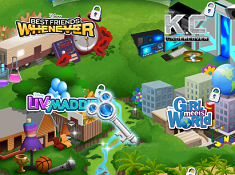 For these games being more interesting we have for you 2 player KC Undercover games in which you will make a team with your friends and you will help each other in the mission. For those who don`t like to go on missions but they love the series and the characters we have KC Undercover memory games, KC Undercover puzzle games, KC Undercover dress up games, KC Undercover coloring games and many other games like this and in that way you can spend time with your lovely characters from this new amazing serial. Because the main characters is a girl you can say that these games are more for girls but if you follow the series you will see that these games are for everyone because any one of us can be a spy if he or she want this. For that we have KC Undercover games for girls, KC Undercover games for boys and also KC Undercover games for kids and each game has his degree of difficult because they are made in a way that everyone who loves that serial can also play our KC Undercover games. 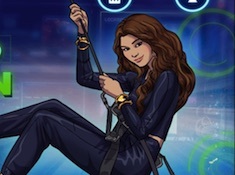 I can say that the main character has something for everyone because if you are a boy you can go through missions along with her and having unforgettable adventures but if you are a girl you have the chance to dress up, make up or making the hair of Zendaya because she is that powerful girl which plays the role of K.C.. I can also remember you that Zendaya is a singer and a known actress and she was played in the series “Shake it Up”, a serial with a big success like the new series in which she is playing now. Because K.C. Undercover is at the beginning we will come back with new free K.C. Undercover games and with new surprises, adventures and maybe new characters from the movie. Until then if you want some special K.C. Undercover games that we haven`t published you can tell us what games do you want and we will publish it for you. We hope that you will enjoy our new games as much as you enjoy the series and we wish you luck to be a good undercover spy and to finish all the missions like an expert. KC Undercover is a covered team that is trying to be completely confidential to all of their spy job, but even if they are very careful about all what they do, sometimes hidden things about them are given from privet to the main public and in this way a lot of fans of K.C. Undercover will hear a lot of their most popular super heroes team. First time when the Disney Movie was launched was called "Keep It Undercover" and the name of this production is followed by Kira Cooper, one of the best undercover spy.